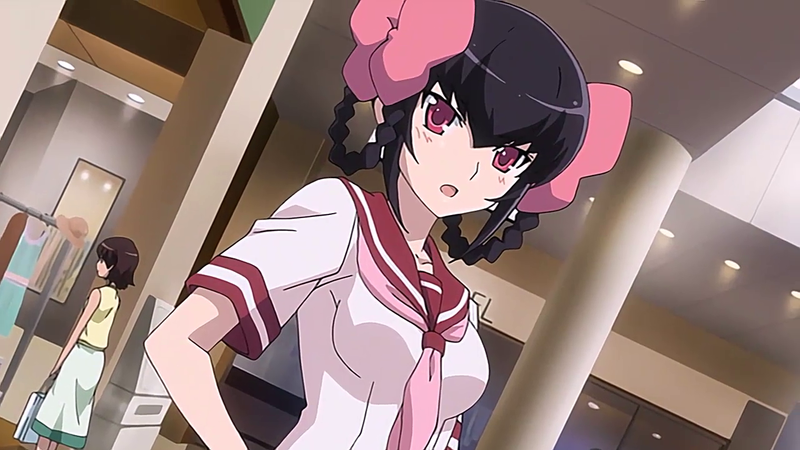 Sentai FIlmworks Licenses "The World God Only Knows OVA Collection"
HOUSTON, January 22, 2015 – Sentai Filmworks is proud to announce its latest acquisition, The World God Only Knows OVA Collection. The duo of Keima Katsuragi and Elsie return in a set of stories that tie together the various seasons of the popular romance comedy series by animation production studio Manglobe. Summer comes around, and Chihiro, along with Elsie, Ayumi and Miyako, have been enjoying the activities of the band called "2B PENCILS". They decide to start up a band club and thoroughly devote themselves to their studies in order to secure a clubroom. Meanwhile, before their very eyes appears the celebrity idol Kanon-chan! Kanon-chan seems to have her eye on Keima, which makes Chihiro and the others uneasily jealous. Summer comes around, and Chihiro, along with Elsie, Ayumi and Miyako, have been enjoying the activities of the band called "2B PENCILS". They decide to start up a band club and thoroughly devote themselves to their studies in order to secure a clubroom. Meanwhile, before the very eyes appears the celebrity idol Kanon-chan! Meanwhile, Kanon-chan seems to have her eye on Keima, which makes Chihiro and the others uneasily jealous. Childhood friend Tenri Ayukawa moves in next door to Keima, who behaves in a curt manner, having not seen each other for 10 years. It turns out another girl named Diana resides inside Tenri. Diana tells Keima of something that occurred 10 years ago. A tale a decade in the making is finally revealed in a thrilling two part story with Tenri’s very heart on the line! Kanon has it tough every day, what with being a pop idol and a high-school student. But one day, suddenly, she turns into an elementary-school student! What's more, another "Kanon" shows up and tries to win over the children, including the real Kanon herself. Things get even crazier when Kanon is turned into a magical girl! What will happen to our leading idol when she must literally and figuratively face herself? This 100% Kanon OVA spinoff features familiar friends and new characters in an all new original story by Tamiki Wakaki himself!